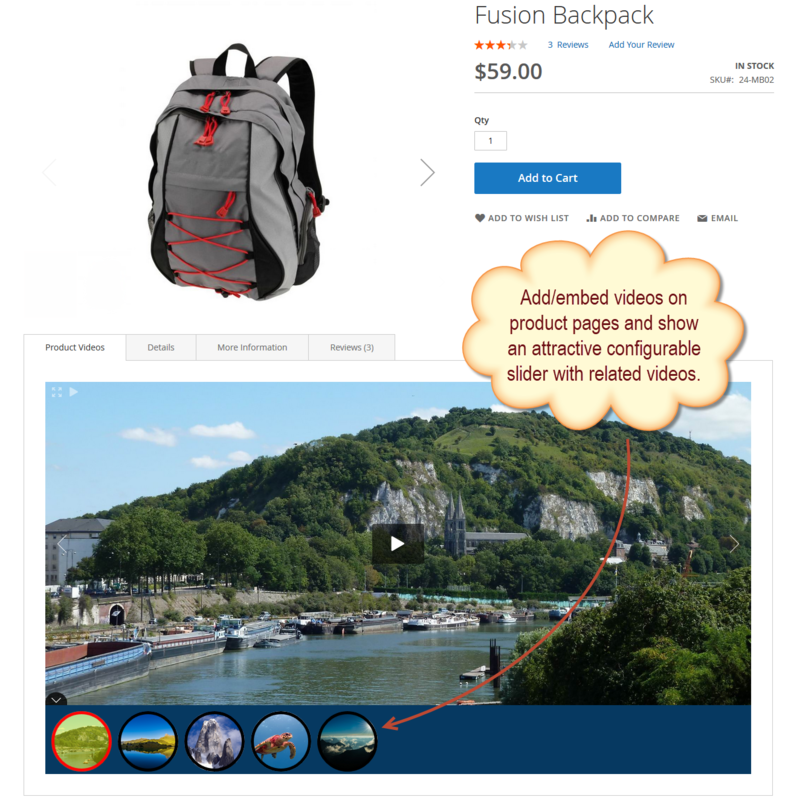 Magento 2 product video extension by FME allows you to add videos to product pages. You can either upload videos from your local device or embed from YouTube, Vimeo etc. It supports videos of multiple formats such as FLV, MPEG, MP4, JPEG, PNG, GIF and SWF. You can also create video galleries and adjust thumbnail settings.